What s surprise this one was, just finished Boston Legal when i saw James Spader in some office episode totally let down. I mean he was gone, then i started wondering what has he been up to these years and voila, new series for review is here. As for the spy component it is very nicely placed, somewhat like Burn Notice, one gets few tips along the way. Blacklist would be just another nowadays massive produced crime series if there was not for one guy, you guessed it, James Spader is as brilliant as ever, pulling again other cast members around him for all to give cathartic performance. 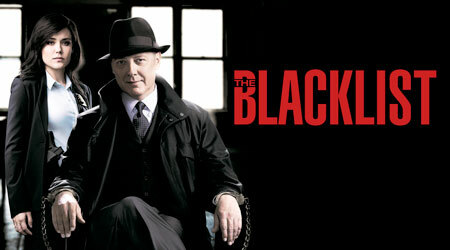 Series revolves around young newbie fbi agent Elizabeth Keen played by Megan Boone and experience filled veteran spook called Raymond Ray Reddington portrayed by Spader. What ever i say after this point can be constituted as spoiler so you will have to take my word for it, it is worth it. Cast that also includes Diego Klattenhof, Ryan Eggold, Parminder Nagra, Amir Arison, Mozhan Marno and Harry Lennix, amongst others. As far as cast goes all are grand and still are since this one is still in recording. Story is so far smooth, engaging, also some neat tricks that reminded me of Burn Notice series but also some new ones. In these days of constant monitoring and surveillance it comes naturally that spy games on this level, where whole host of three letter agencies is just toys for seasoned spy Red and his new crew, goes well with viewers, especially those who like sound of eloquent and well spoken mr James Spader. Weird to see him kill though. Ah you see, spoiler... Enjoy. p.s. I acctually wonder why this is not called redlist, that would make much more sense to me. spa: "the blacklist tv series, good spy tv show, airing thru 2013,2014... next one will be 1920 in usa mobsters settings aka Boardwalk Empire five season masterpiece"